This Wednesday, May 29, WGBY airs A NOVA Night of Special Reports: “Manhunt- Boston Bombers” at 9:00pm & “Oklahoma’s Deadliest Tornadoes” at 10:00pm. Watch preview. On May 24 we posted some of the teacher resources available to you for “Oklahaoma’s Deadliest Tornadoes.” (See previous post below.) 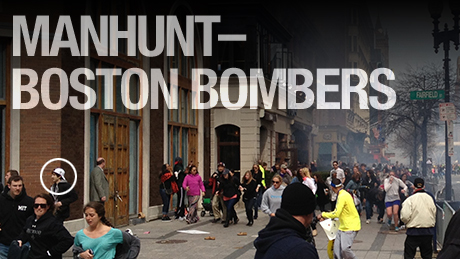 The special new one-hour NOVA documentary “Manhunt-Boston Bombers,” follows quickly unfolding events, step by step, and examines the role of modern technology—combined with old-fashioned detective work in cracking the case. And in a special collaboration, producer Miles O’Brien is also re­porting a special broadcast that same evening prior to NOVA for PBS NewsHour. Searching under “terrorism” at PBS LearningMedia, you’ll find various classroom resources, such as the lesson plan Breaking Up is Hard to Do for grades 9-12 about Russian/Chechen relations with the focus on nationalism, separatism, and terrorism. You’ll also want to check out PBS NewsHour Extra, news for kids and resources for teachers, including free lesson plans, news videos, articles and original student-generated reports. This entry was posted in Lesson Plans, PBS Resources, Programming Highlights, Teaching Tools and tagged lesson plan, NOVA, pbs learningmedia, science, social studies, video. Bookmark the permalink.